Finally, The Magic and Heat made a deal. The Magic sends a protected 2nd round pick to Miami for former 1st round pick Shabazz Napier, according to Adrian Wojnarowski of Yahoo Sports. The Magic just keep getting younger and younger. This was a low risk move by Orlando. 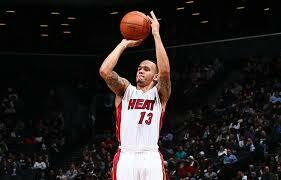 Napier was rumored earlier this month to be on the move with Miami trying to fix their luxury tax situation. The Magic will have a hard time finalizing the roster with all of these valuable guards. Those decisions will be made in a month or two. The Magic have back court includes Victor Oladipo, Elfrid Payton, C.J. Watson, Keith Appling, Evan Fournier, and rookie Tyler Harvey. Who will get more minutes off the bench between Watson, Fournier or Napier? Magic are building a good bench. Napier in his rookie year shot a .382 from the field and shot behind the arc with a .364, also Napier only started 10 games and played in 51 total games, in addition he averaged 5.1 points per game and averaged 2.5 assists a game, per Basketball-Reference.com. Napier will help the Magic big time. Previous Post Cueto A Royal King Now !